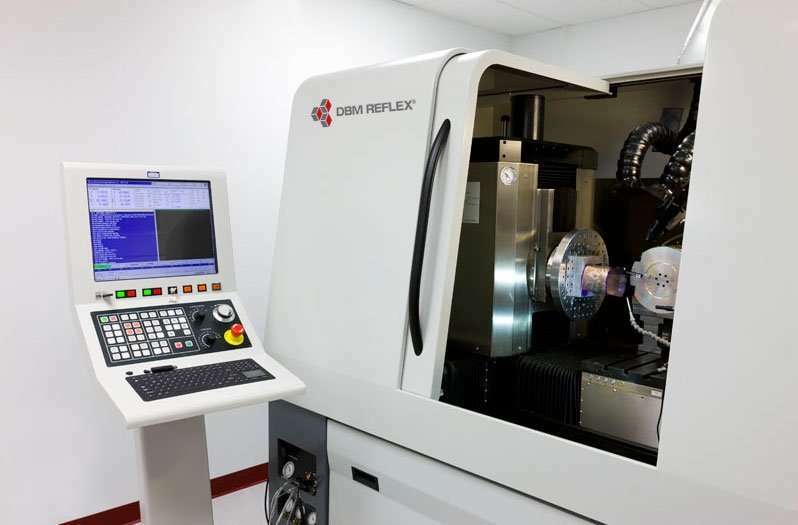 In order to meet current and future industry needs, DBM Reflex is equipped with 4 state of the art diamond cutting centers with up to 5 axis capabilities. A wide range of diamond cutting technics are available offering extremely flexible machining possibilities. With the addition of a proprietary programming software, DBM REFLEX can apply the best machining strategy to fulfill customers specifications. Depending on the optical requirements, Slow Tool Servo (STS), Fast Tool Servo (FTS) and Micro Milling are available offering exceptional surface finishes down to Ra 3.0 nm as well as optical precision down to 0.15 micron (Peak to Valley). We can machine optical surface finish on freeform surfaces without any post processing. DBM Reflex can diamond cut microstructure optics typically used in automotive lighting head lamps as well as a large variety of optical shapes used in forward and rear lighting. Diffractive optics can also be machined as well with our diamond cutting equipment.